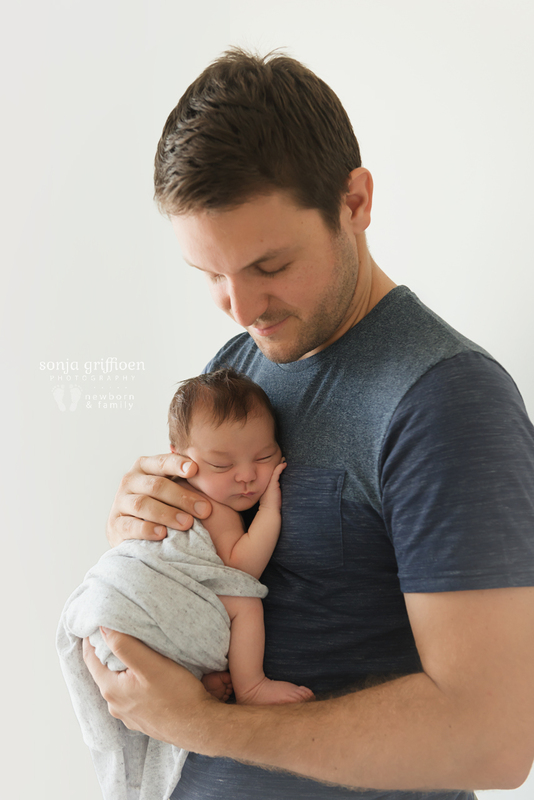 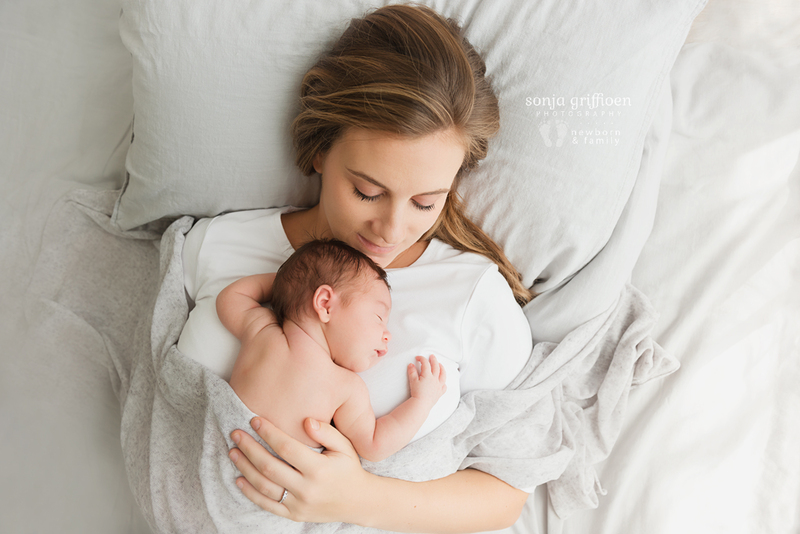 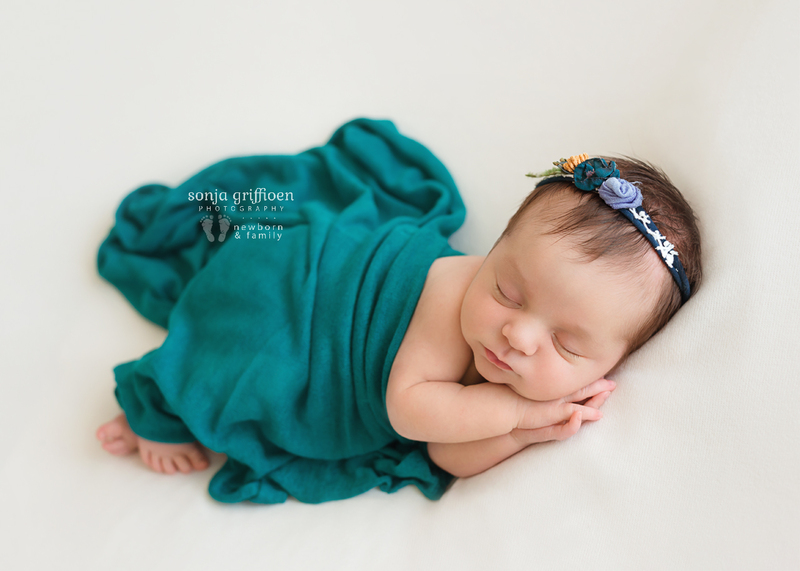 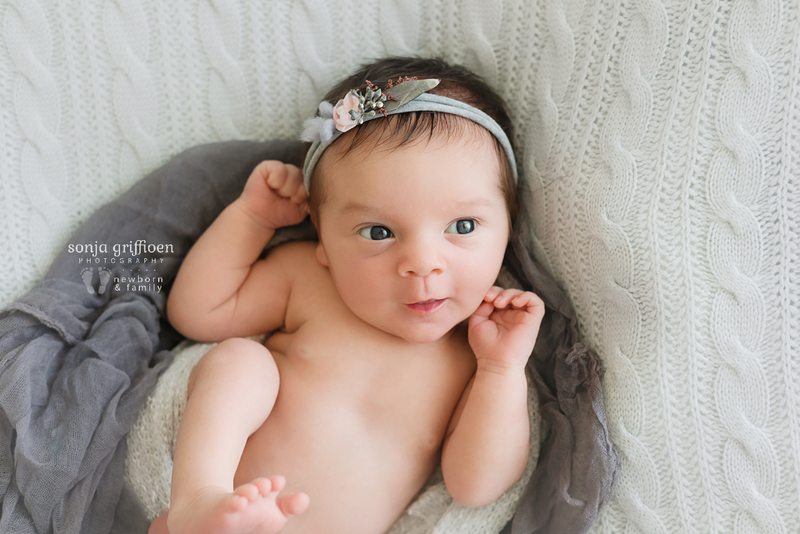 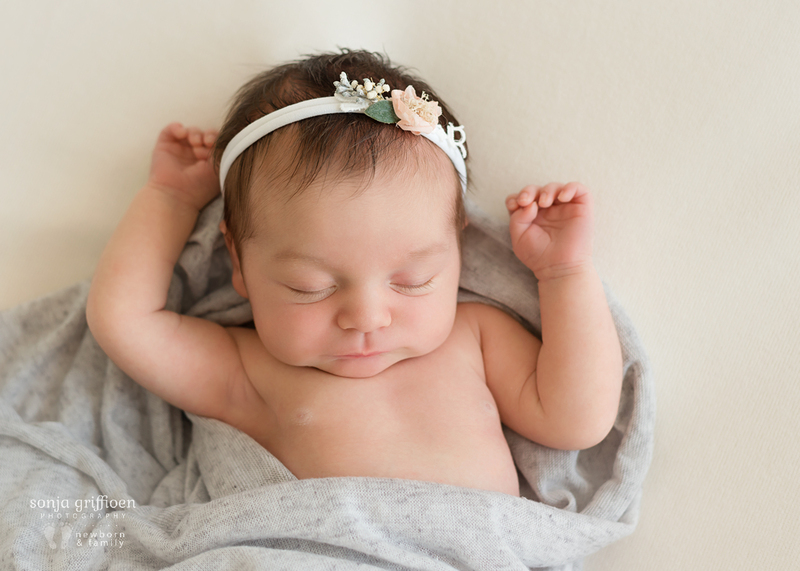 With Gwen’s newborn session her parents had more of a natural feel in mind, with some sweet tummy poses and a prop! 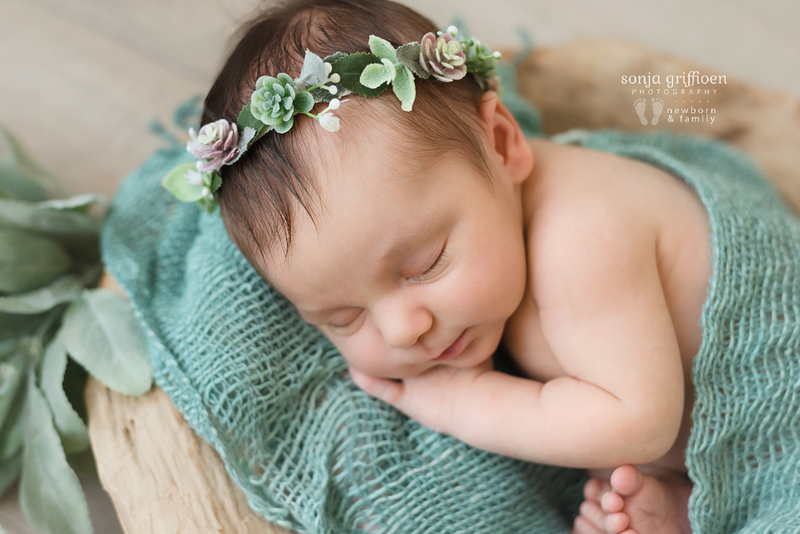 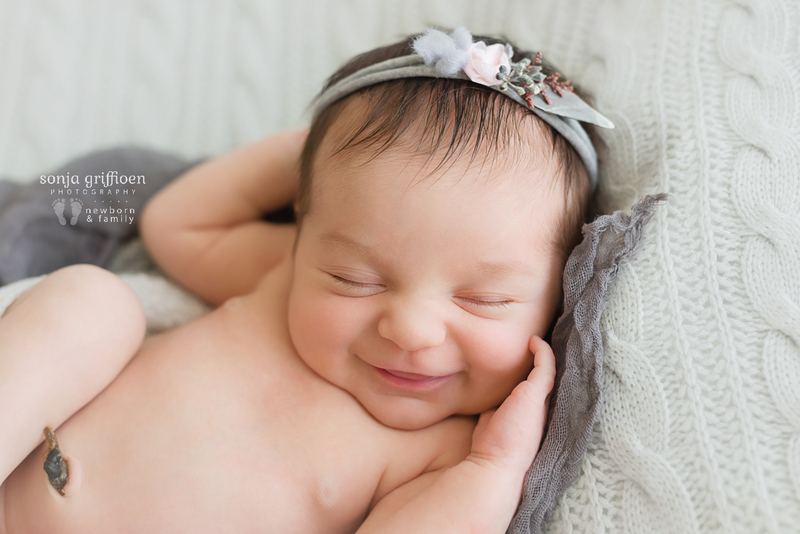 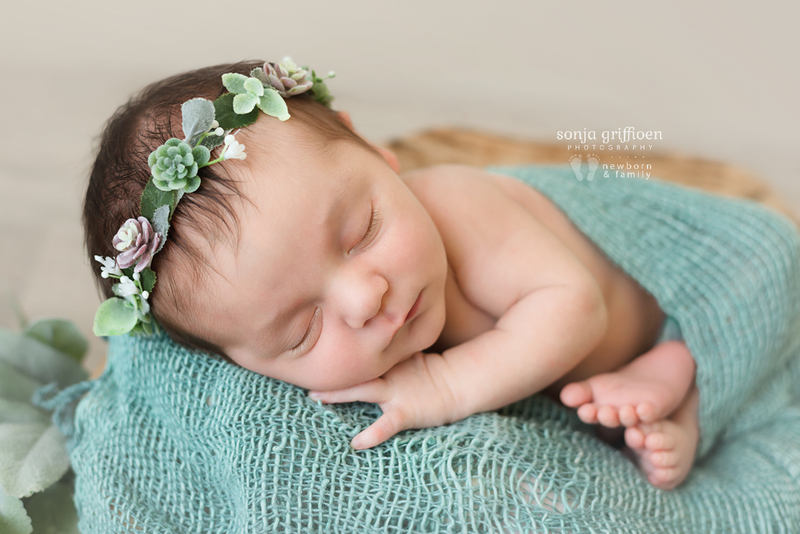 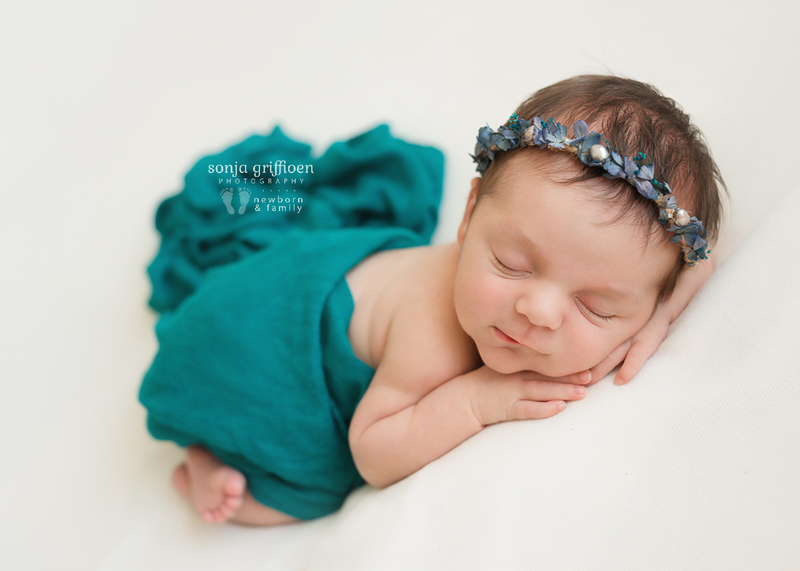 At only 9 days old she graced us with so much of her little personality – a beautiful big smile (wonder what she was dreaming about – or maybe she was just loving her session! 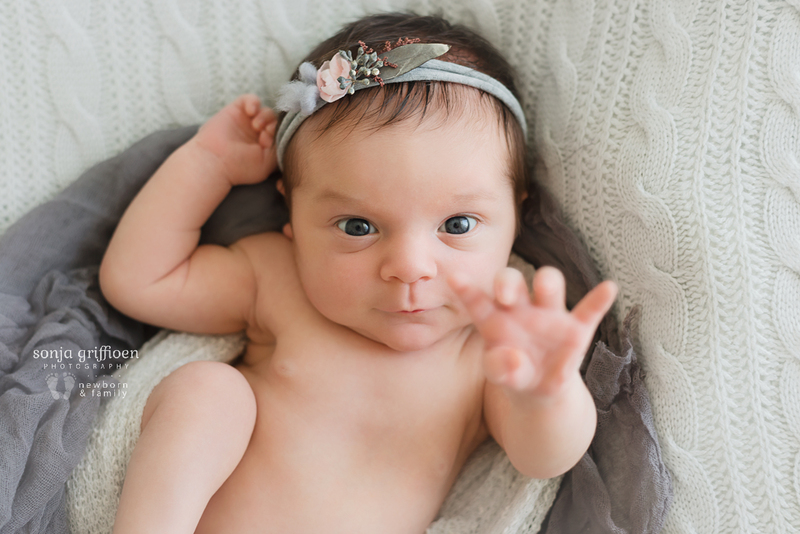 ), and some sweet awake moments where she interacted with me and the camera.